Four-on-the-floor is a drum style where the bass drum plays on all four beats of the 4/4 bar and the hi-hat cymbal plays on the offbeats. 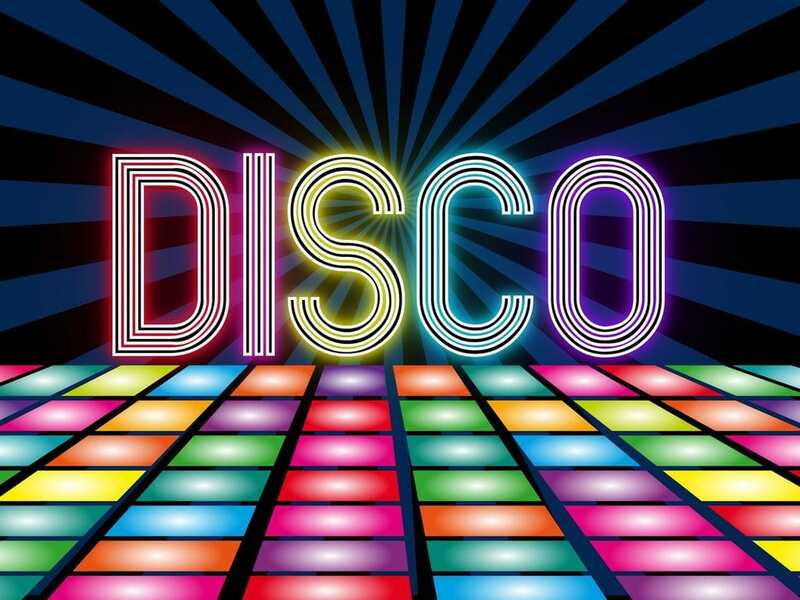 Disco first appeared in the early 1970s in the clubs of New York. The most famous club was Studio 54. The first audiences were predominantly gay or black. Discotheques played vinyl records on powerful sound systems for non-stop dancing. Elaborate strobe disco lighting systems throbbed to the beat of the music. A groove is a long section with the same rhythm parts repeated for dancing. One of the earliest disco hits was ‘Never can say goodbye’ (1974) by Gloria Gaynor. It is groove-based with lush string and brass arrangements, driving drum rhythms, and funky guitar. In 1975 Gaynor worked with the producer/mixer Tom Moulton on the album ‘Never Can Say Goodbye’. He extended three tracks to fill the first side of the album in a non-stop mix specifically for club use – the first side-long disco mix record. The 1977 film ‘Saturday Night Fever’ about the New York disco scene brought disco to a much wider audience. The film features the dancing of John Travolta and the songs ‘Night Fever’ and ‘Stayin’ Alive’ by the Bee Gees. Donna Summer was one of the most successful disco artists. In 1977 she collaborated with Giorgio Moroder to produce ‘I feel love’, the first disco track to have an entirely synthesized backing track. The electronic backing instruments, combined with its layered texture and four-on-the-floor drum pattern, was very influential and became a blueprint for house and techno.